Following Saturday’s lavish royal affair, the new Duke and Duchess of Sussex were widely expected to soon depart on their honeymoon. Rather, the official honeymoon destination remains a secret and the newlyweds have announced a one night mini-moon to Ireland in July ahead of an extended honeymoon at a later date. While many publications are predicting a romantic African escape in Namibia, a country known for its spectacular landscape and remote location, there’s a good chance that Australia (and more specifically, Hamilton Island) may be a serious contender to host the royal honeymoon. In late 2017, the Minister for Trade, Tourism and Investment officially invited the couple to consider Australia for their first holiday as husband and wife. ‘I told Prince Harry Tourism Australia stands ready to work with him and Ms. Markle to design an itinerary to their tastes,’ wrote Steven Ciobo MP in a press release. ‘From the world’s best beaches and endless coastlines, to the vast and ancient landscapes of the interior to our vibrant cites and thriving food and wine scene, Australia has it all. 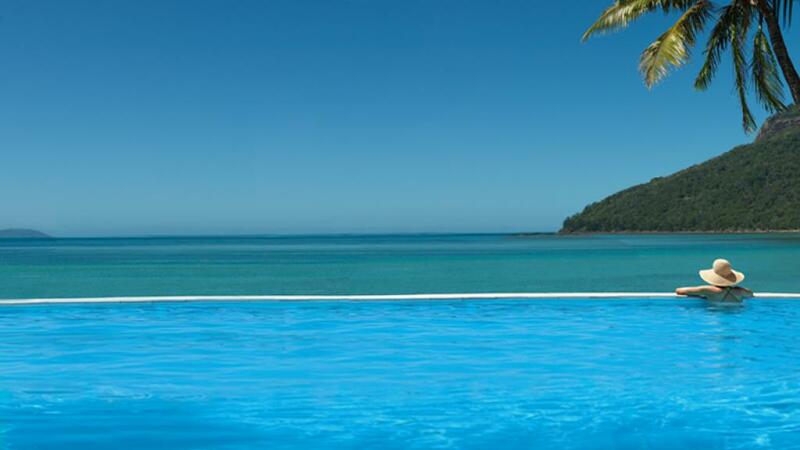 Boasting world class luxury accommodation and unparalleled natural beauty, Hamilton Island is undeniably fit to host the royals as they enjoy each other’s company in one of the islands secluded resorts. Guests of Hamilton Island also have the opportunity to experience the islands many remarkable offerings, with everything from scuba diving in the Great Barrier Reef to intimate fine dining and scenic flights on show. Should the couple choose to honeymoon elsewhere, Australia remains excited to see them both visit in October as Sydney hosts the Invictus Games, an international sporting competition founded by the Duke of Sussex in 2014.